Do you like to think of yourself as 'PERFECT' or just about? Well then, this is the hoody for you. The garment itself is also perfect. "Heavyweight UltraSoft Peach Finish fabric. 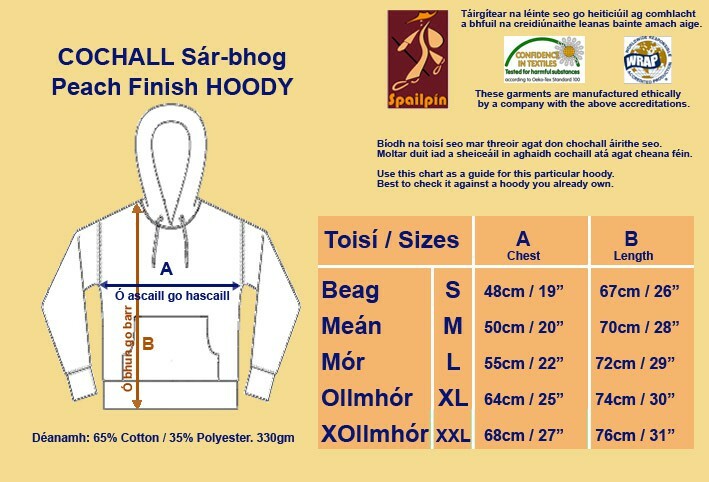 3 panel waffle lined fabric hood with flat chunky hood cords, Kangaroo pouch pocket with concealed iPod and phone pocket. Ribbed hem and cuffs with thumb holes." And they're not our words . It's a superior quality garment that, in our opinion, outshines any Hollister or Abercrombie hoodies.